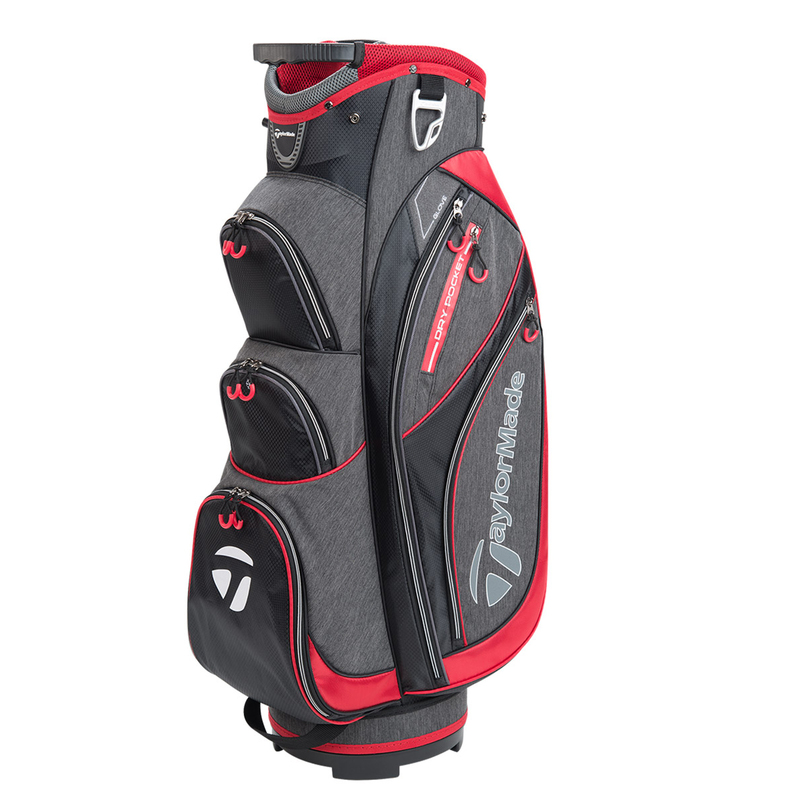 This lightweight golf bag has been constructed with a deluxe heather fabric, and provides optimum storage and organisation for your round of golf. 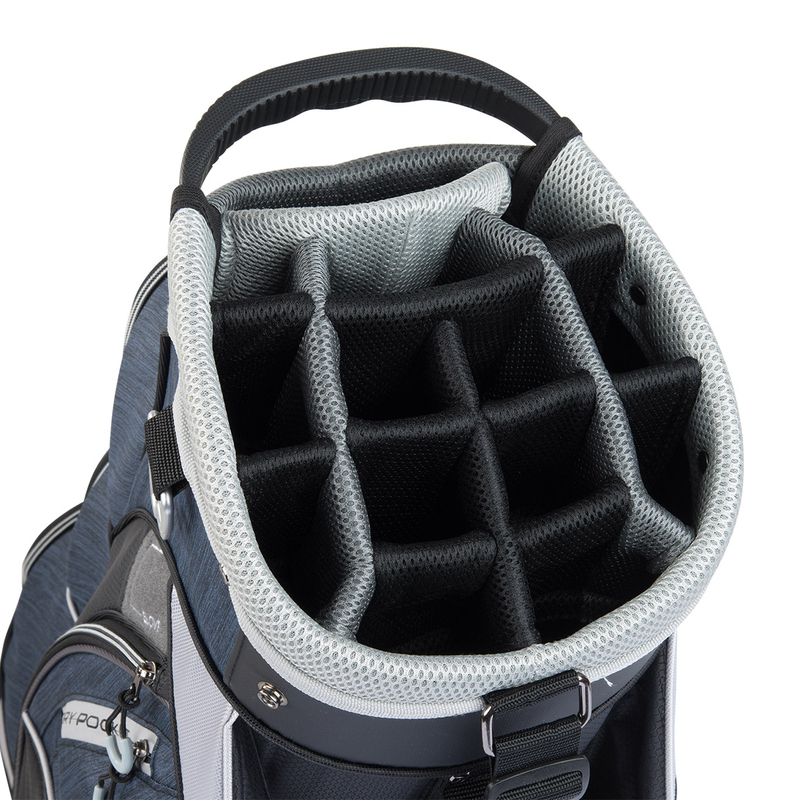 There are a total of 9 forward facing pockets for easier access, which includes a fur-line valuables pocket, cooler pocket, ball pocket, and many more. 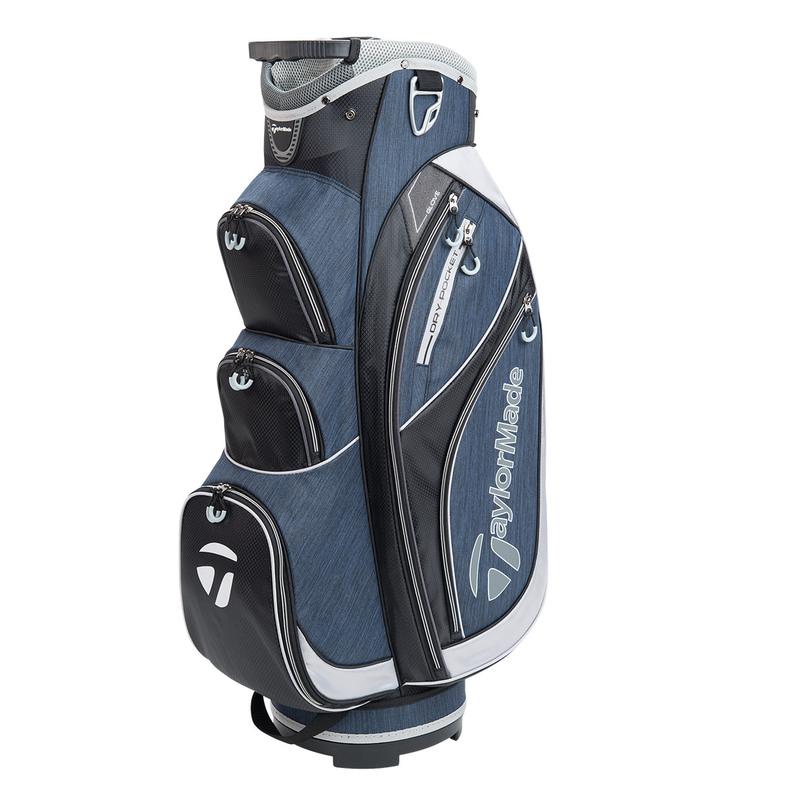 For easy organisation a 14-way full length divider system provides better club storage, with lift assist handle and large putter well. 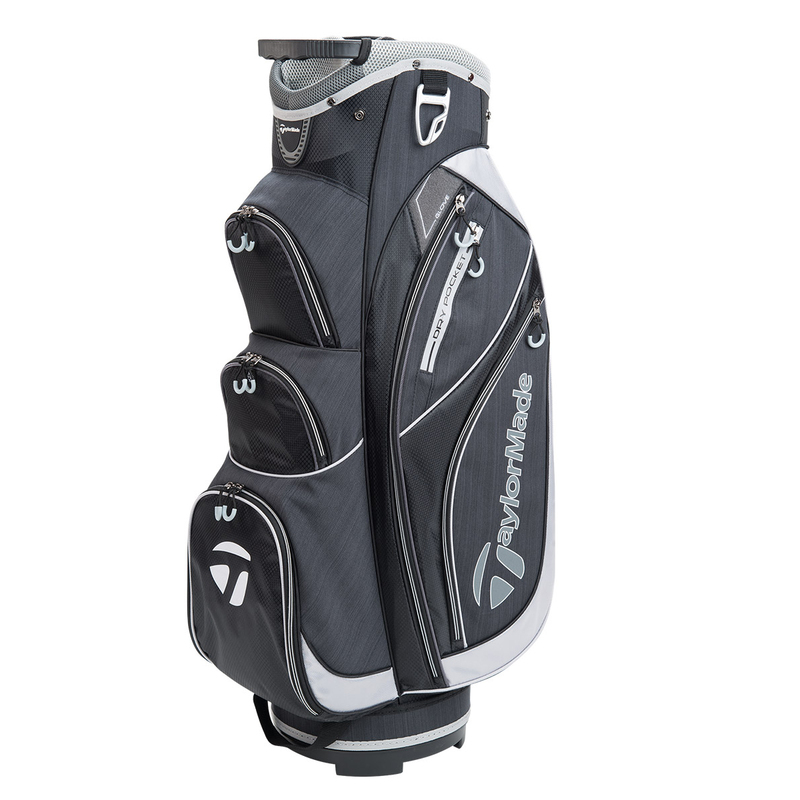 The bag incorporates the key lock base to ensure a secure fitting to your trolley, and has a padded shoulder strap if you choose to carry. Other details include an towel ring, umbrella holder, plus comes with matching rain hood to protect your gear from the elements. Weight 2.6kg.